“Do I need the Divi plugin if I have Divi Theme installed?” is a question that comes up time and time again in the various Divi Facebook groups. As the curator of Divi Theme Examples showcase, I look at many Divi sites using What WordPress Theme Is That? and I often see that sites are running the Divi Theme, but also have the Divi Builder plugin installed, so there is obviously still some confusion. This post will run over the basics of the Divi Builder plugin from Elegant Themes, what it is used for and if you actually need it. What is The Divi Builder plugin? The Divi Builder plugin was released by Elegant Themes on October 7, 2015, and it takes the Divi Builder functionality from the Divi WordPress Theme and packages it into a standalone WordPress plugin that can be used on any WordPress theme. Do I need the Divi Builder plugin if I’m using the Divi theme? If you have the Divi Theme running as your active WordPress Theme you do not also need to install the Divi Builder plugin as it is built into the Divi Theme already. When you use the Divi Theme you will get all of the features found in the Divi Builder plugin, plus a whole lot more. When should I use the Divi Builder plugin? There are 2 main situations that you would want to use the Divi Builder plugin. If you want to use another WordPress Theme other than Divi, but still want to have the ability to use the Divi builder to create your pages and posts, then you can install the Divi builder plugin. 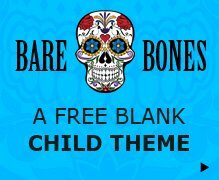 There may be a theme that offers some specific functionality that you need on your websites such as a directory, custom headers & footers or an integrated portfolio system. The Divi builder plugin will work with any WordPress theme, so it allows you to get the best of both worlds with specific non-Divi theme features along with the power of the Divi Builder system for creating your pages and posts content. The screenshot above is taken from a WordPress install running the Salient Theme from Theme Nectar, with the Divi Builder plugin installed and activated. As you can see we have the header and footer from the Salient Theme along with the customize option in the WordPress top navigation which loads the Salient Theme options customizer. But, we also get to create the page content using the Divi Builder we know and love. The second reason you may want to use the Divi Builder plugin is when you decide that you want to switch WordPress themes on a site that has already been built using Divi. Like many WordPress page builders, Divi uses shortcodes to display your content on your website and it is these shortcodes that will show up, rather than your styled content, when you deactivate Divi and activate another WordPress Theme. The post from Chris Lama titled “If you use the Divi theme with WordPress, it better be forever” pointed out the issues associated with using shortcodes in Divi and that your website content will be a jumbled mess of shortcodes when you try and switch over from Divi. Before the Divi builder was introduced, you would have to manually go through and scrape out your content and re-populate to your new theme in order to get rid of the Divi shortcode mess, which was potentially very time-consuming. This is no longer a problem as you can just install and activate the Divi Builder plugin and your content will display just as it did before you deactivated the Divi Theme and switched to a new WordPress Theme. 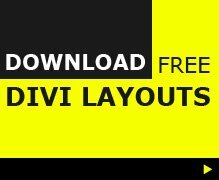 What’re the main differences between the Divi theme and Divi Builder plugin? Did you use the Divi Builder plugin? Personally, beyond testing the plugin on a few other WordPress Themes to see how it functions, I have not used the Divi Builder Plugin in a live website project. I like the way Divi works and for the projects, I have completed Divi fitted all of my requirements. But, it is good to know the plugin is there an option if I ever need to switch theme or have a new build that requires specific functionality I want to use in another theme. If you have a site using the Divi Builder plugin along with a non-Divi WordPress theme, drop a link in the comments below.